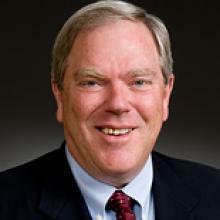 Hugh Gottschalk has handled a myriad of cases in his 30-year litigation career, including contract disputes, franchise matters, environmental torts, professional and product liability cases, and trade secret, patent, copyright, and trademark infringement cases. He employs his decades of litigation experience, accumulated knowledge, and science education background to effectively present complex and technical information at trial. Mr. Gottschalk's experience in commercial litigation is particularly extensive. He has represented clients in numerous commercial disputes involving alleged breaches of contracts, fraud and misrepresentation, securities, franchise matters, and intellectual property infringements. Mr. Gottschalk has served as national or regional trial counsel to several large and well-known companies in industries as diverse as information technology, energy, manufacturing, and consumer and professional services.